Lack of visibility. Provisioning errors and delays. Network outages. Security breaches. They’re inevitable with the fragmented tools and manual processes your network teams must rely on to manage your network. It’s time to bring an end to the compromises that threaten your network availability, security-and yes, even your business. Put your network in overdrive-and keep it there-with the Infoblox CORE Bundle Promotion. And for an unbeatable price! Get everything you need to manage complex networks, achieve five nines availability, and harden security—centrally, painlessly, and affordably. Secure and optimize your network with affordable access to the industry’s most advanced DNS security and DDI applications. Slash your upfront expenses and get game-changing Infoblox applications at substantial savings when you act now. Never miss a beat with hardware and software that are continually improved and always up-to-date. No technology refreshes. Ever! With the CORE Bundle promotion, you can transfer a license from a physical to a virtual to a cloud platform at no additional cost. Leave patchwork solutions, half-measures and compromises behind. Gain the critical capabilities every modern network needs today, but most lack. Get industry-leading DNS security capabilities, DDI optimization services, and advanced Infoblox Trinzic appliances in one tightly integrated CORE Bundle—and for substantial discounts when you join now. Prevent the widest range of DNS based DDoS attacks. Break the malware kill chain and protect against data theft. Accelerate application delivery and performance. Gain Comprehensive visibility and insight. Newly enhanced Infoblox Trinzic appliances give you all the raw power, reliability and redundancy you need to tackle your toughest network challenges. Core Bundle Meets High Capacity – The new Trinzic 4015/4025 appliances are here. With 50% more DHCP and DNS capacity, the largest networks can take full advantage of Core Bundle’s benefits. Also, users of Trinzic 4010/4020 appliances can now readily upgrade and capitalize on the Core Bundle. Deepen your savings even more. With this offer, we’re making a great deal even better. Subscribe now and get all four Infoblox security and management products at substantial discounts. Make your hard-won IT dollars go a lot further. For starters, say good riddance to rollercoaster CAPEX. 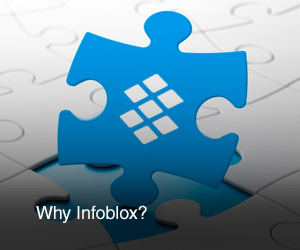 Moving to a subscription software license can reduce your initial cash outlays for Infoblox solutions by as much as 50% compared to a perpetual license. In addition, subscription licensing eases budgetary pressures by making your costs predictable, incremental, affordable—and directly tied to the value you receive. Increase your savings further still with free software upgrades and no separate payments for maintenance. Make your hard-won IT dollars go a lot further. For starters, say good riddance to rollercoaster CAPEX. Moving to a subscription software license can reduce your initial cash outlays for Infoblox solutions by a wide margin compared to a perpetual license. Your subscription also covers all future software upgrades and maintenance for Infoblox appliances and applications included in your package. Put pedal to the metal with your virtualization and cloud strategy. Easily deploy and redeploy Trinzic licenses from one form factor to another anywhere on your network at no extra cost. For example, you can quickly shift gears from physical to virtual appliances to accelerate your evolution toward a Next Generation Data Center (NGDC) or hybrid cloud infrastructure. With license portability, you can push new boundaries that were previously out of reach. You can’t afford to compromise your network. Get the Infoblox Core Bundle.